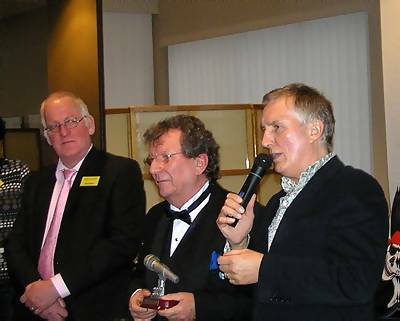 The 2007 Radio Day was made especially memorable by the presentation of the first Radi Awards for services to offshore radio. 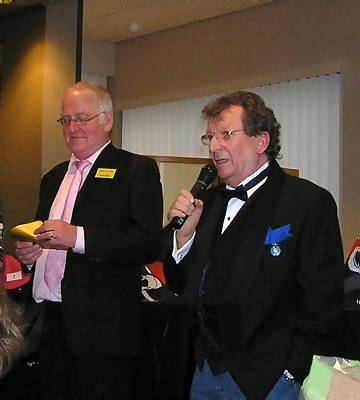 The ceremony was hosted by radio historian Hans Knot and disc-jockey Robbie Dale. Not all the recipients are pictured here. For full details, see the Radio Day website. 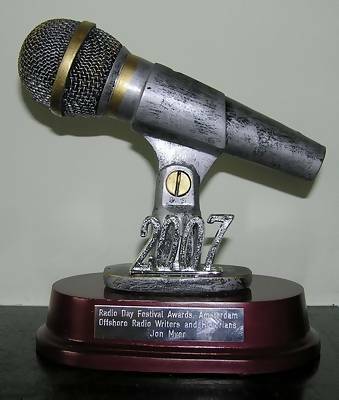 There were three awards for people who were judged to have made an Outstanding Contribution to Offshore Radio. The first went to the boss of the Dutch station Radio Veronica, Hendrik “Bul” Verweij. Now in his nineties, it was collected for him by two grand-daughters. A second award went to former Veronica DJ, Klaas Vaak, now better known as Tom Mulder. 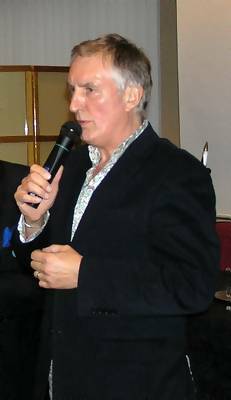 The third recipient, pictured below, was disc-jockey Johnnie Walker. 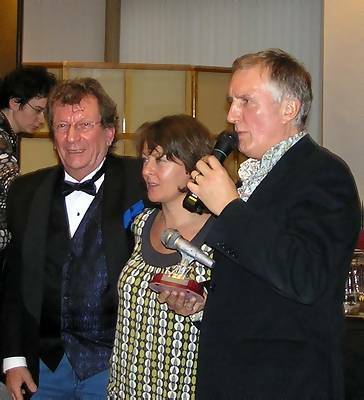 The third recipient of the Outstanding Contribution to Offshore Radio Award, Johnnie Walker. The awards were presented by Hans Knot, left, and Robbie Dale. Hans Knot, Robbie Dale and Johnnie Walker. Tiggy Walker joins her husband and Robbie. 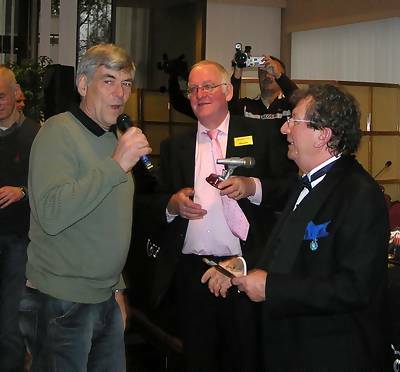 The Offshore Radio Top Technical Support Award went to former RNI and Caroline engineer Peter Chicago. 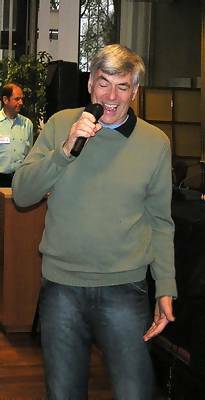 The “Radio Anorak” award was won by Rob Mesander. And there was one additional award, for Offshore Radio Writers and Historians. Our grateful thanks to the organisers and judges. Pictures of the after-event socialising are here.